Something you did not mention is skin color. Looking through the supplementary tables, one of the three samples was derived for SLC24A5, but not derived for SLC45A2, while another was derived for SLC24A5, but couldn’t be tested for the other SNP. The third didn’t have any coverage for these genes. Although a small sample size, this seems to suggest ancient Egyptians were not dark brown, but may have been about as swarthy as the older bronze age Sidonians discussed last week. Also, this might be self-evident from earlier studies, but the strange distribution of the Y haplogroup E3b1 – present in Northeastern Africa and southern Europe – is making a lot more sense. It seems it was the original “western farmer” Y-DNA haplogroup, but was replaced in the Near East by “eastern farmer” J, and although WHG admixture into EEF was comparably minor, I2a somehow took over soon after the expansion into Europe. If you hold that the Natufians/Neolithic Levantine populations were speakers of Proto-Afro Asiatic, this would mean that the first EEF could have spoken Afro-Asiatic languages as well, although there would have to have been a language shift to something else (WHG? Anatolian?) relatively early on. 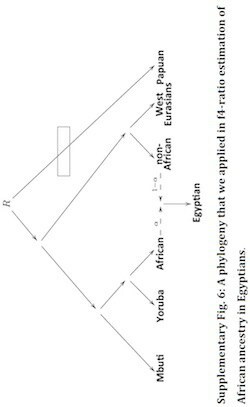 Also, while of course there is historically attested population movements between the Caucasus and Egypt, do we really need to rely on those to explain the elevated “cyan” component? It is common throughout the Near East, including among relatively isolated populations like the Druze and the Bedouins. It seems to me that the cosmopolitan nature of Islamic civilization would explain a great deal of this by itself – more people were migrating into Egypt from throughout the Near East, which elevated the cyan component over time. Finally, all the samples studied in this paper are from Lower Egypt. I would like to see if Upper Egypt similarly shows very little ancient East African admixture, or if there was more of a gradient as you traveled southward at that time. yeah. so i looked at the slc45a2 in the 48 copts from sudan. that snp is in there and it’s 25% derived. 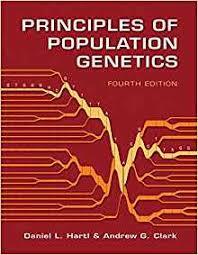 so reason i didn’t mention is if the ancient freqs were same we’d expect 50% ancestral homoz. How comfortable can we be that the mummies are representative of the general population and not just the upper class? Unlike a lot of pre-historic societies, we know for a fact that ancient Egypt was very stratified by class and that the upper class took endogamy to extremes including some instances of sibling or other marriages that would be considered incestuous today even in SW Asia? Also, elite marriages appear to have had a more international character (with aristocrats marrying foreign aristocrats to make alliances) to a greater extent than the rank and file. With panmixia or even a reasonable approximation thereof, autosomal results from even a few individuals are quite representative to the entire population after only a few generations after initial admixture. But, we could be seeing trends limits only to one elite strata of the society. 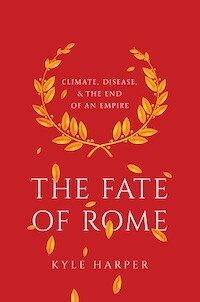 On the other hand, the progression in the sub-Saharan percentage to the present and the perhaps less stratified nature of the aristocrats during the Roman era could argue against a caste-like interpretation of the data. I guess part of it comes down to how elite you had to be to be mummified, something I’d love to hear what you know about from your reading. Interesting how little contact there was with sub-Saharans absent the slave trade. For example, you might have thought that Copts and Ethiopians would mix a lot over the centuries, both before and after the Islamic conquest, through their shares Monophysite Christian faith, but contact between the groups seems to have been minimal and Christian Ethiopians remain quite distinct from Copts today both physiologically and culturally, despite the shared religion. re: representativeness. they discussed this issue in the text. don’t know if i find it persuasive. but note that all the samples look very similar similar despite one of them being roman era. additionally, they discuss the class ubiquity of mummification. finally, the similarities to modern copts argues is an important point to consider. if copts descend only from the elite that’s an argument, but that seems a bit too extreme re: elite overproduction. ultimately more samples will fix this issue. i am moderately confident they’ll validate these results. “Something you did not mention is skin color. Looking through the supplementary tables, one of the three samples was derived for SLC24A5, but not derived for SLC45A2, while another was derived for SLC24A5, but couldn’t be tested for the other SNP. The third didn’t have any coverage for these genes. Although a small sample size, this seems to suggest ancient Egyptians were not dark brown, but may have been about as swarthy as the older bronze age Sidonians discussed last week. According to these results, any idea as to where the Ancient Egyptians would be on the Fitzpatrick or Von Luschan Scales? Can you share this data, thanks. We still need DNA studies done on ethnic AE’s from both Upper and Lower Egypt from time periods preceding the New Kingdom (i.e. Middle Kingdom, Old Kingdom, and Predynastic Period). 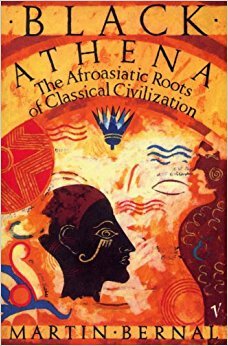 Sure this new study is very interesting and a strong wound to the Afrocentric ideal as right now it’s looking like AE was a civilization of Near Eastern origin that happened to be located in North Africa just like Carthage. However it’s still only mummies from one site in Central Egypt from the New Kingdom to Roman Egypt. These mummies don’t tell the whole story of Ancient Egypt. 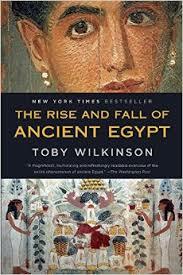 Razib do you know if DNA studies will be conducted on Ancient Egyptians from older periods anytime soon? probably in the next two years if i had to guess. 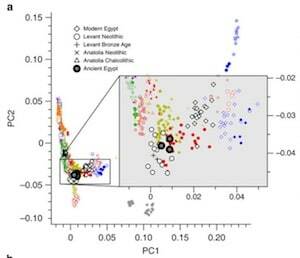 Clearly it looks like modern Copts have strong genetic similarities to these mummy samples. 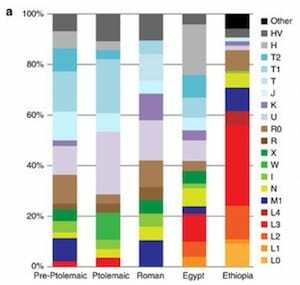 Indicating (at least based off these samples) that Copts are genetically the most related to Ancient Egyptians probably out of all groups of people on Earth. Not only that buy if your observe these samples by time period you’ll notice the SSA further increases as well as general decrease in Natufian ancestry as well. Yeah can you share this..pretty please with a cherry on top, thanks.